Mike Murphy is one of AQUILA’s founding principals and leads both the investment services and property management platforms. Over the course of his career, he has completed nearly $1 billion in commercial real estate sales. Mike works with a wide range of clients and specializes in helping institutional owners and high net-worth individuals on property acquisitions, dispositions and developments. 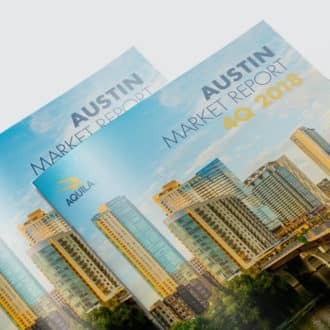 He has been a major player in the Austin commercial real estate market for decades, originally founding Pyramid Properties, now AQUILA Management Services, in 1992. Mike hails from Omaha, Nebraska but was attracted to Texas in college for it’s warm weather. He attended the University of Houston and eventually graduated from St. Edward’s University in Austin. 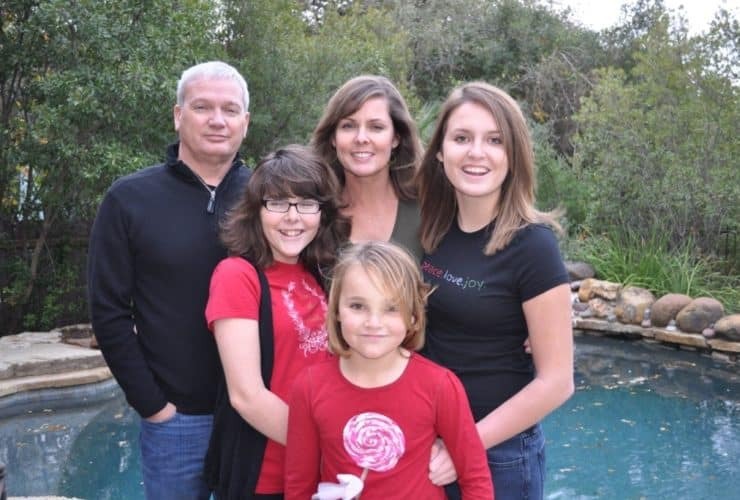 Mike and Natalie Murphy have been married for over 25 years, and together they have three daughters, Cassidy (24), Haley (21) and Laney (17). 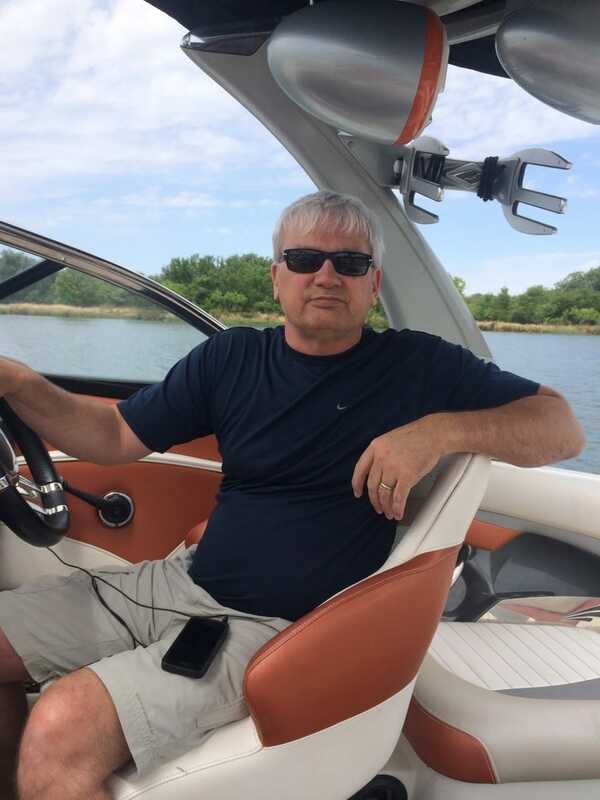 Although two of his girls are out of the house now, Mike and his family still get as much quality time in as they can spending weekends at the lake. I sat down for a Q&A with Mike to learn more about him. Read his answers below to get to know him a little better! 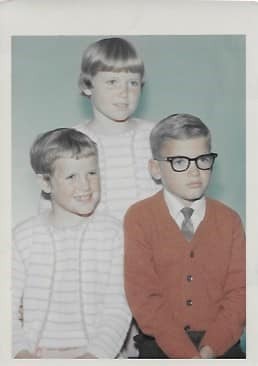 Mike with his siblings Kelly and Luana when they were young. A: I started at The University of Northern Iowa, but it was so cold that I transferred down to University of Houston after two years. I then got my Bachelor of Business Administration from St. Edwards. A: Since 1985. After college, I worked in Houston with a real estate company that focused on managing downtown high rises. During a downturn in the market, they lost a lot of square feet, so they moved me to Austin to start a division here in 1985. I’ve been here ever since. 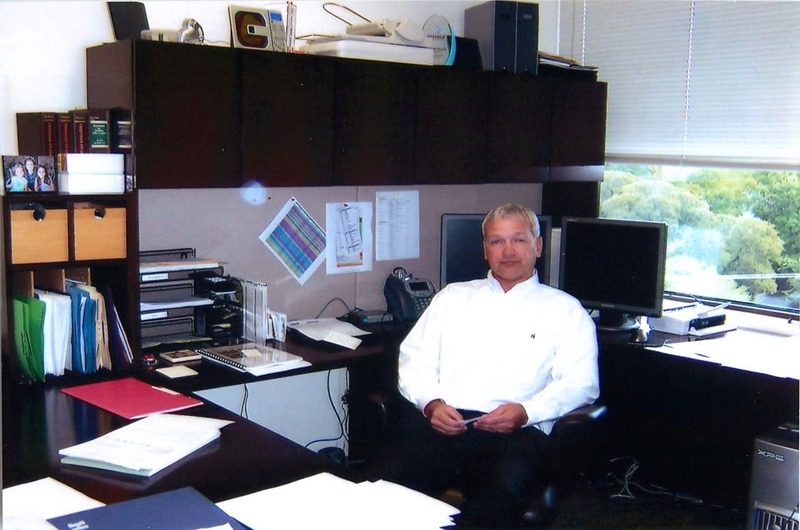 Mike Murphy in his office in the early 2000’s. A: I just like it. I didn’t want to leave Houston either when I moved, but now Austin is home. It sure was different in 1985 though. A: The people and culture we have. 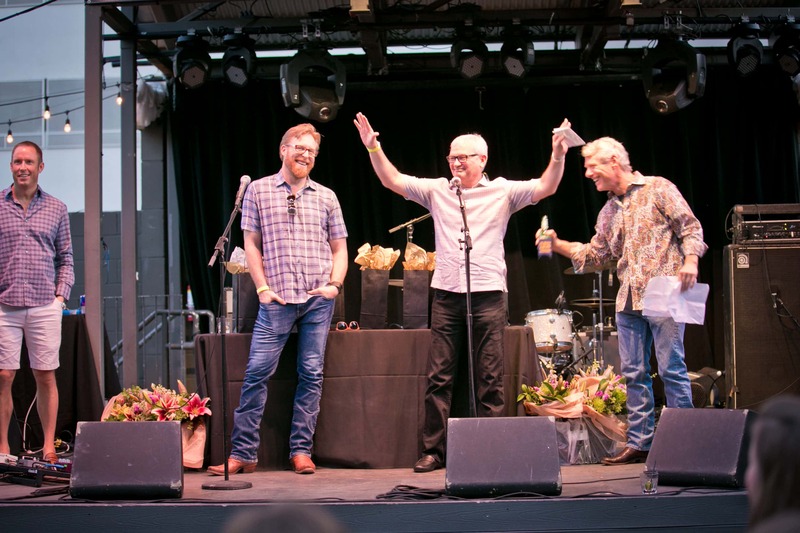 Mike onstage with co-founders Chad Barrett, Jay Lamy and Bart Matheney at AQUILA’s 10th Anniversary party in April 2017. 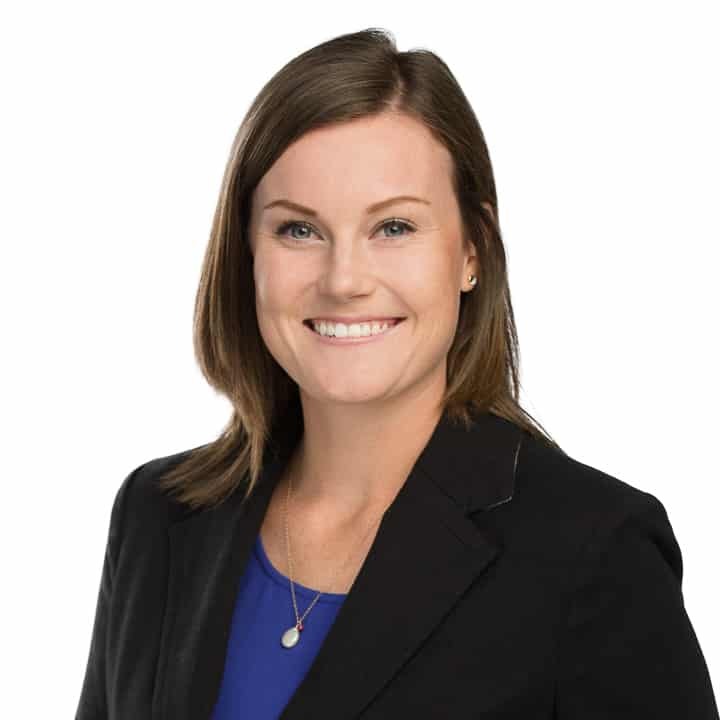 A: We’re less structured – I had been working for companies that I didn’t like working for, so I partnered up with Pete Lamy and formed Pyramid Properties in 1992. When Bart [Matheney] and Jay [Lamy] came to me and asked if I wanted to help them form AQUILA, I was in. We’re more creative at AQUILA and there’s a sense of camaraderie. 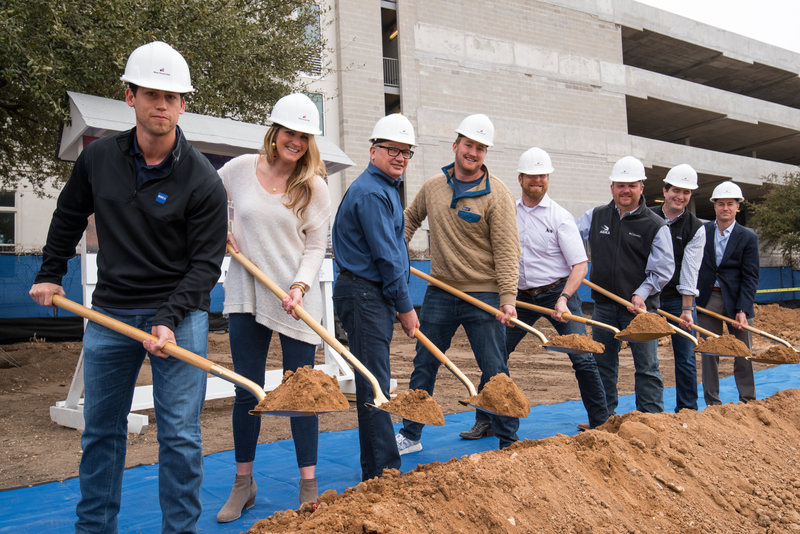 Mike with coworkers at the groundbreaking ceremony for East 6. A: I like spending time at my lake house on Lake LBJ. It’s an hour from our house in Austin, so we get out there as much as we can. It’s a constant level lake so it’s great year round. Mike out on his boat on Lake LBJ. I have three daughters, so I spend a lot of time going to their various activities over the years. Our youngest is still in high school and plays basketball. Mike stays busy attending his daughters’ sporting events. 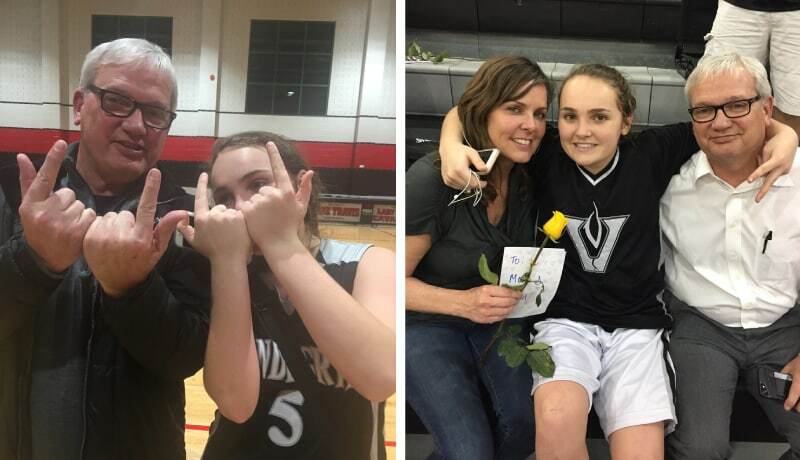 Pictured above with his wife Natalie and youngest daughter, Laney, after a high school basketball game. I’m also a huge Nebraska Football fan. They haven’t been very good lately, but I still enjoy watching them play. A: I’d probably buy another house somewhere with cooler weather, like Colorado or San Diego. A: I’ve never done karaoke in my life. A: Austin in the fall/spring and San Diego in the summer. A: I don’t like to go out to eat, and my wife hates me because of that (laughs). I prefer to grill at home. 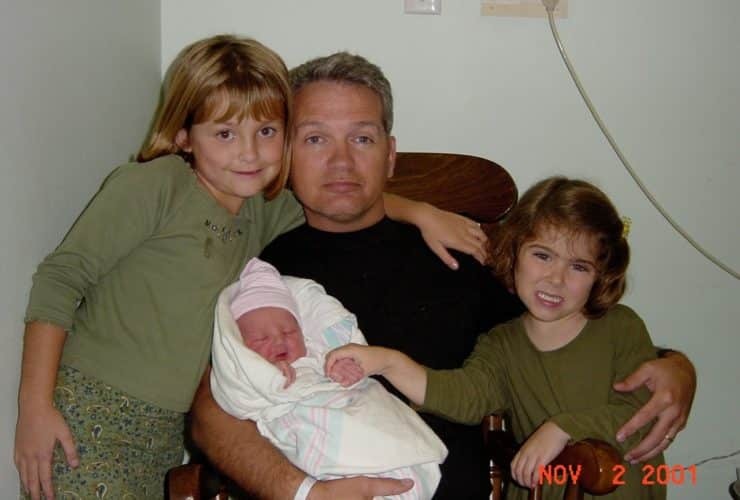 Mike with his daughters when his youngest, Laney, was born. 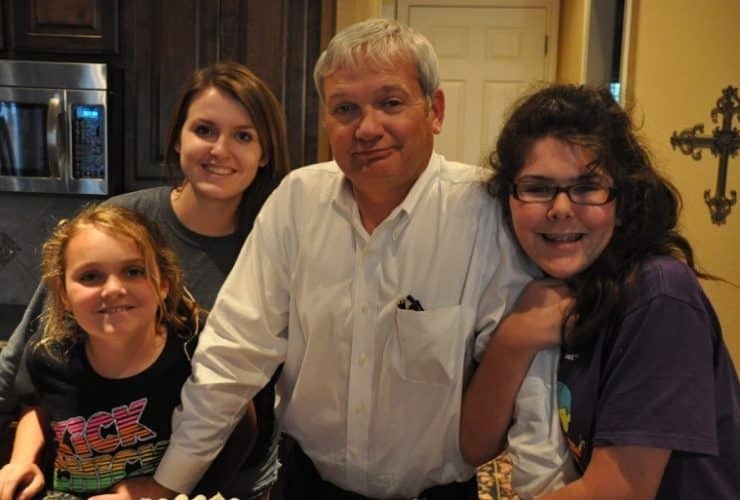 Mike with his wife and daughters. 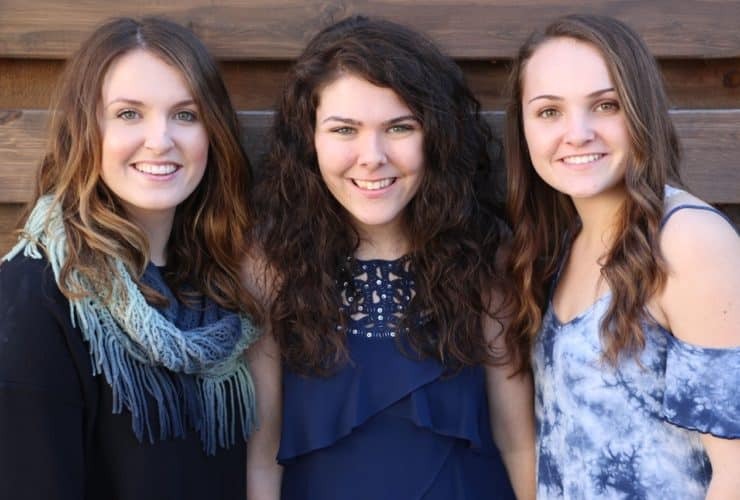 Mike's three daughters, Cassidy (24), Haley (21) and Laney (17). A: Right now I’m watching Ozark, but I loved Mad Men and Homeland. 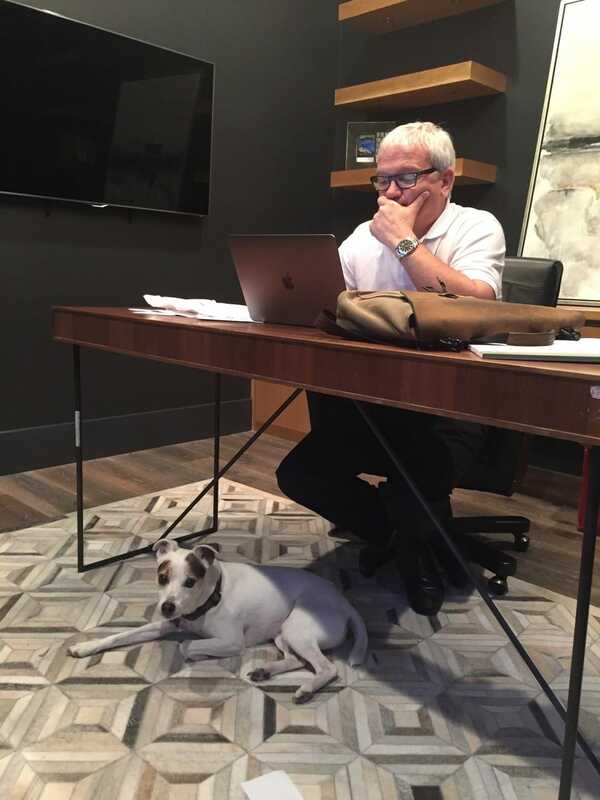 Mike with the family’s dog in his home office. 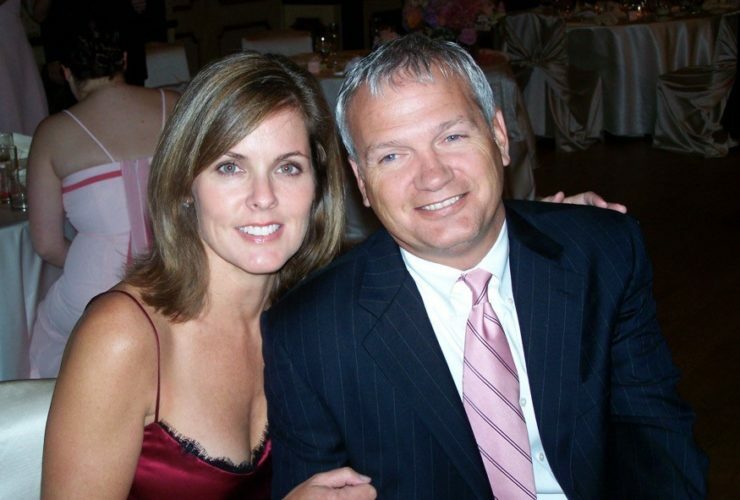 For more on Mike, check out his bio page on our website. Don’t forget to check back each month to see who we feature next!